Tong Jaan means “Golden Moon”, born in February 2005. 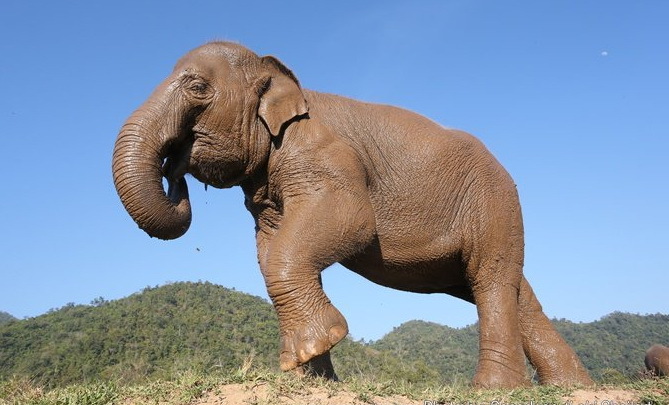 Thankfully, Tong Jaan was rescued in July 2005 along with her mother Mae Bua Tong before she was old enough to get into the spirit broken, known as “Phajaan”. 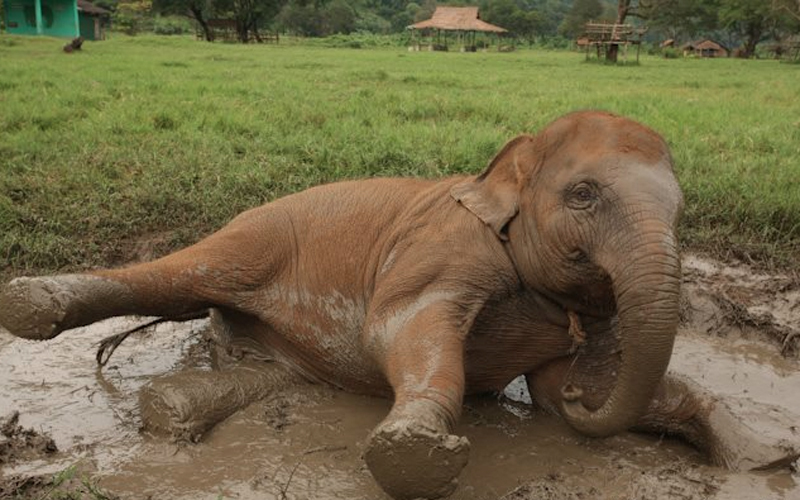 Tong Jaan is one of our elephants grown up by love and care from the herd at ENP. 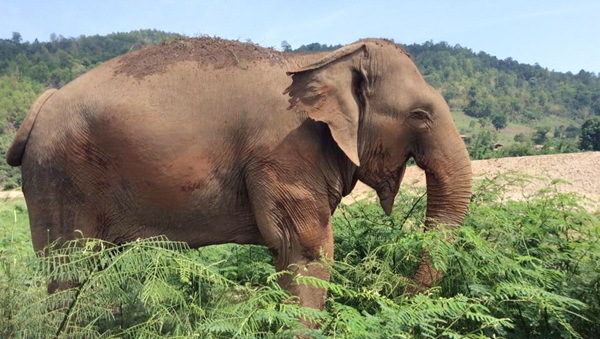 She is a big sister of Faa Mai and junior nanny of Dok Mai. Now her family has a new member; baby Dok Rak so that make Tong Jaan more busy with the nanny duty. It is really enjoyable to watch all nannies in the herd doing their great job. Tong Jaan also happy with the young members. Now she’s more grown up. Every year she’s becoming more perfect. It’s your birthday today! May all the best blessings rain upon you today and always. Let our love overflow upon you on your Wonderful Birthday. Happy birthday sweet girl. 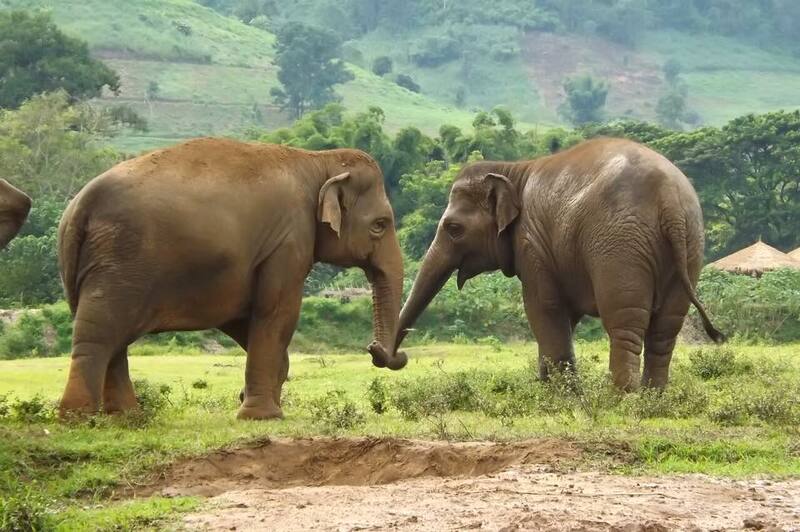 previous post: Adorable baby elephants find their own way to celebrate the joyfulness. 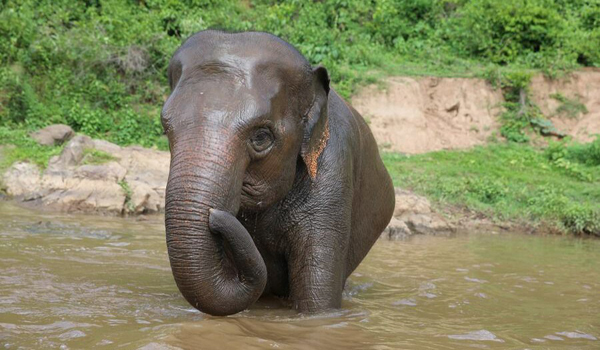 next post: Happy Birthday our “Queen of the flowers” – Our sweet girl Dok Mai was born in April 6, 2013.